Apax Limousines provides a variety of competitive corporate packages that can be customized to your needs, all at an exceptional value. Safety, privacy and dependability are our first priorities, ensuring you and your clients are satisfied with our services each and every time. Need airport transportation? TAKE A LIMO. You’ll be surprised at our affordable rates. 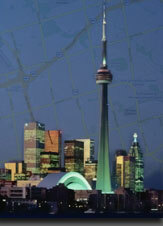 We provide service to many cities within Ontario. Please call for a quote and leave the rest to us. At APAX we value customer service and our fleet will make sure that you arrive safe and return home safe.